Born on 18 March 1848 in Buckingham Palace, Princess Louisa Caroline Alberta was the sixth child and fourth daughter of Queen Victoria and Prince Albert. She was named Louisa Carolina Alberta, with her second middle name being a nod to her father, as Alberta is the feminine form of Albert. Commonly referred to just as Princess Louise, the royal was a feminist and massive supporter of the arts, and she was educated through a strict programme organised by her father. On 13 May 1848, Princess Louise was christened in the private chapel of Buckingham Palace by the Archbishop of Canterbury, John Bishop. Her godparents were Duke Gustav of Mecklenburg-Schwerin (paternal great-great-uncle), the Duchess of Saxe-Meiningen, and the Hereditary Grand Duchess of Mecklenburg-Strelitz (her first cousin once removed). Louise was known to be very intelligent and talented with her skills in drawing art quickly becoming noticeable – which would later lead to it being no surprise that she would become such a proponent of the arts in later years, especially considering her mother allowed her to enrol at the National Art Training School. Louise, who was by far the most intelligent of her siblings, was even known as “Little Miss Why” by her father. Her life would see her be at odds with two of her sisters, Princesses Beatrice and Helena, often. As with many siblings, their disagreements would not last long, and as a whole, they were close to one another. Princess Louise, however, was said to be closest to her younger brother, Prince Leopold. After the tragic passing of her father, Prince Albert on 14 December 1861, Louise became irritated at her mother’s continuous mourning. She requested a dance in the ballroom for her 17th birthday but was refused – only adding to her dismay at her mother’s grief. 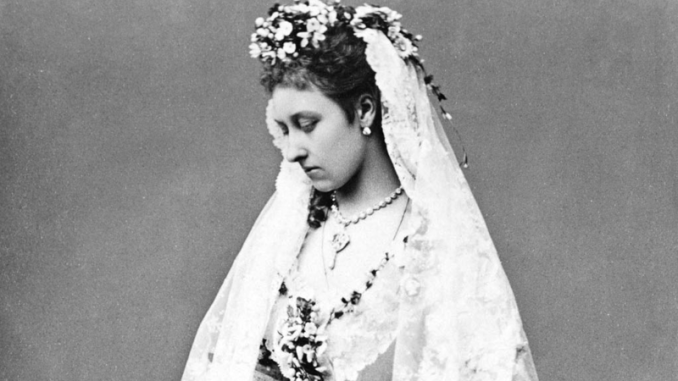 Rumours swirled of Princess Louise’s romantic exploits, and as with her other children, Queen Victoria wanted to find her a suitable, royal spouse. However, Louise had different ideas; the rebellious Princess did not want to marry a prince. She had her eyes set on John Campbell, Marquess of Lorne – the future 9th Duke of Argyll – which was a union (meaning a monarch’s child to a commoner) that had not been approved since 1515. Her brother, the Prince of Wales, objected, but Queen Victoria gave her approval as it would bring new blood into the family. The couple became engaged at Balmoral on 3 October 1870, and they wed at St George’s Chapel at Windsor on 21 March 1871. As her father was unable to walk her down the aisle, she entered the church with her mother and two of her brothers, the Prince of Wales and Duke of Edinburgh. Louise and John then honeymooned in Claremont. Sadly, their union would not produce any children, but rumours persisted that Louise gave birth years before her marriage to an illegitimate son who was given up for adoption when she was 18. Just a few years later, John was appointed as Canada’s Governor General, and the couple arrived in Halifax, Nova Scotia, in November 1878. They would reside in Rideau Hall in the Canadian capital of Ottawa. While in Canada, the couple founded the Royal Canadian Academy of Arts and eventually became accustomed to the harsh Canadian winters. Princess Louise would end up injured in the heavy snow in a sleighing accident that saw her receive a concussion. They returned to Britain in 1883, but Canada remained in her heart. The province of Alberta was eventually named after her. After their return, the couple took up residence in Kensington Palace. By 24 April 1900, John had become the 9th Duke of Argyll, and as such, Louise became Princess Louise, Duchess of Argyll (a title she would hold until her husband’s death in 1914 when she would become the Dowager Duchess of Argyll). Upon her mother’s death on 22 January 1901, Princess Louise continued royal duties while her brother was on the throne, and she was known to pay unannounced visits to hospitals. Although, she would slowly retire from public duties after World War One. Additionally, financial difficulties forced the Princess and Duke to cut back on staff and non-necessities, but this had begun before her brother had ascended the throne. The Duke, who was believed to have had Alzheimer’s, died on 2 May 1914 from pneumonia, and the Princess suffered a nervous breakdown after the fact. Interestingly, the Argyll family papers at Inveraray Castle remain off limits, as do files on the Princess in the Royal Archives. Some have suggested this is a cover-up result of long-standing rumours that the 9th Duke of Argyll was a homosexual. She would live out her final years at Kensington Palace, which Princesses Elizabeth (the future Queen Elizabeth II) and Margaret called “Auntie Palace”. Princess Louise, who was beloved by Elizabeth and Margaret, died at the age of 91 on 3 December 1939 after years of ill health. After a simple funeral, her remains were cremated and placed in the Royal Crypt at St George’s Chapel. They were later moved to the Royal Burial Ground at Frogmore. Her legacy continues with several lakes, hospitals, a province, mountain, and regiments were named after her. 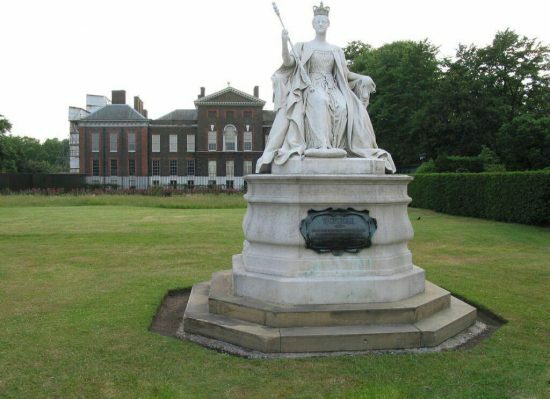 A statue designed by Princess Louise of Queen Victoria stands outside Kensington Palace. This was not her only work of art, as several of her sculptures and drawings are located in the Royal Collection Trust and other museums. 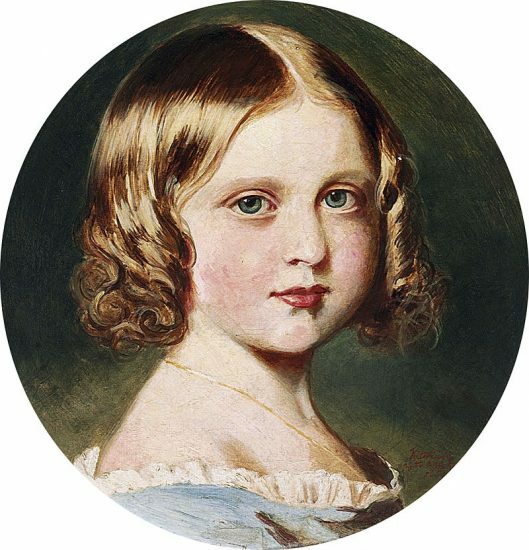 I have always read that Vicky was the most intelligent one out of all Queen Victoria and Albert’s children… It is said that Louise was very curious as a child, hence the nickname Albert gave her.